More investors than ever are concerned about making an investment that positively impacts the environment. Gone are the days of investing in tobacco companies or oil companies for a quick profit. Instead, investors are increasingly looking to invest in environmentally-friendly companies that can eliminate pollution and improve habitats throughout the world. If you are looking to make an eco-friendly investment, here are five great stocks you can consider for 2014. The wind industry may transform the ways in which countries consume energy in the future. Wind energy has eliminated the need for traditional forms of energy, such as gasoline. As gas prices continue to become more expensive every year, this stock is poised to increase in value. Guggenheim Solar is a fund that invests in companies making headway in the solar energy industry. The fund seeks to locate companies that are poised to succeed in developing new solar energy products. There are a total of 22 securities in the fund. Solar energy holds tremendous possibilities for conserving energy in the environment and also eliminating the need for electricity. Market Vectors Solar Energy (KWT) is another eco-friendly stock that aims to invest in solar energy companies. There are 300,000 outstanding shares of KWT available for the public. Because numerous tax credits are available for companies that utilize solar energy, it is likely that this stock will increase in value as more companies resort to the use of solar energy. Solar energy also holds great promise for reducing U.S. dependence on foreign oil. 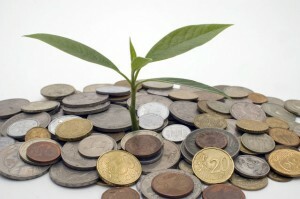 This fund seeks to gather eco-friendly companies that yield a high dividend. All of the companies included in this index seek to conserve energy and resolve pollution issues. This fund is comprised of companies that utilize healthy recycling habits. All of the companies in this fund are conscious of their impact on the environment. These five companies are poised to grow in 2014. As the public increasingly demands that companies “go green,” eco-friendly stocks will grow in value as a result. If you work for a private company that utilizes eco-friendly habits, such as Melaleuca, you may also want to inquire about stock options available for employees. Private stock options can also help you effectively grow your funds in 2014, and your employer may even be willing to match any of your stock purchases for a private company.